The first thing in the morning, we shared the results of the working groups about the expectations and requirements from organisers and facilitators, librarians, books and readers. That was a necessary work for the group’s preparation of Our Living Library the same evening. We would return to those results at the day of the evaluation of Our Living Library. Then the four groups went to prepare their tasks for the Living Library. The time was very compact and it was necessary to be ready by the lunch time – that was a challenge. There was a group of organisers/facilitators and librarians, the group of Books and two groups of readers. 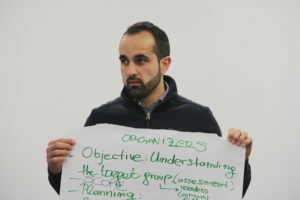 The task of the organisers was to come up with the proposal about the format of the Library and necessary logistics. The “Books” were preparing their stories together, sharing with each other and thinking of their titles and presentation. 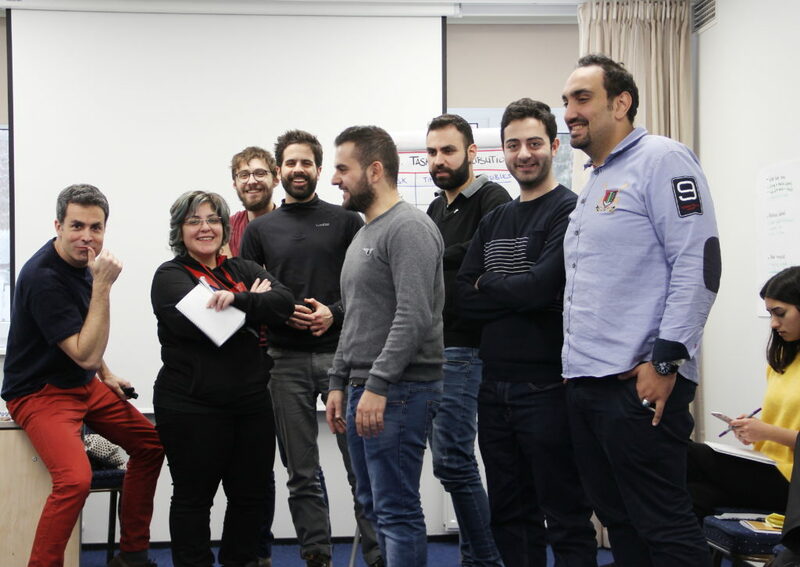 At some point the Books and organisers had to join together to synchronize the plan and clarify the whole process. The groups of “Readers” worked on the rules of the Living Library and evaluation/feedback forms for readers and the Books. 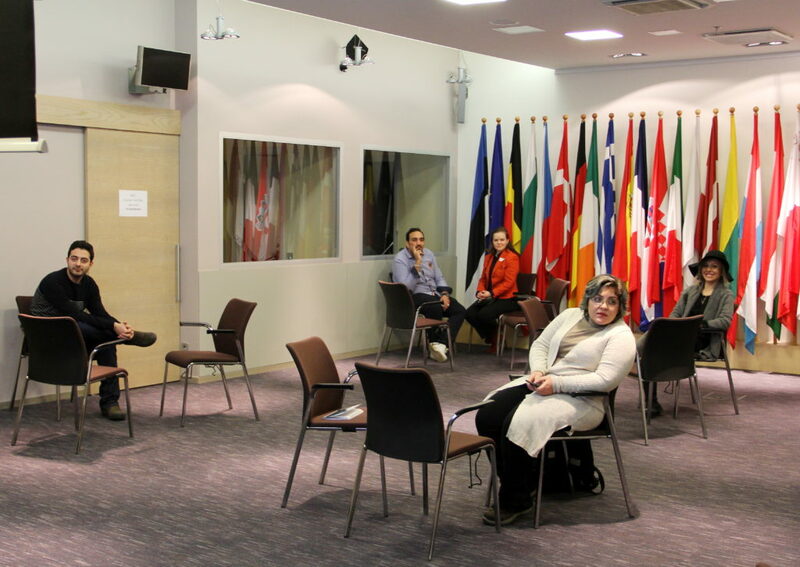 General meeting allowed identifying the responsible groups and people and consolidate the work of all the groups. When arrived, the group prepared the space and setting, then, timely, the Living Library started. And the Library took place! 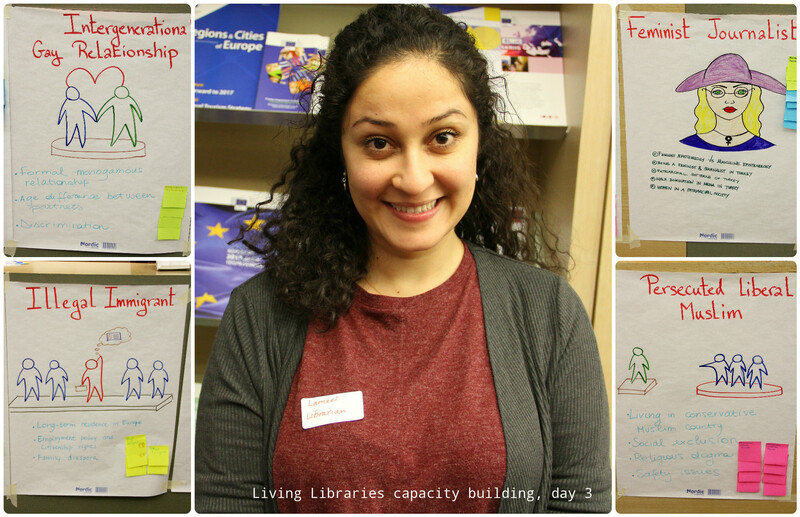 After finalizing the Library, we did a circle of emotions and learning of the day (post-its) as usual. At leaving for the street, we realize that the real winter came – the street was full of snow, the snow was still falling and it looked as a miracle. Part of the group took the bus to return and the other went back walking to the hotel. Living Libraries is a multidimensional experience. It is also demanding for every person involved. Living Library is a strong tool to challenge adversities in every context. We put into practice what we have learnt starting from Monday. We experienced our managerial and organisational skills. I realized the importance of sharing quality time. I am recognizing the power of the Living Library for both, the readers and books. I learnt teamwork and time management. I learnt the preparation of the Living Library. The human books can be more dramatic sometimes than science fiction. 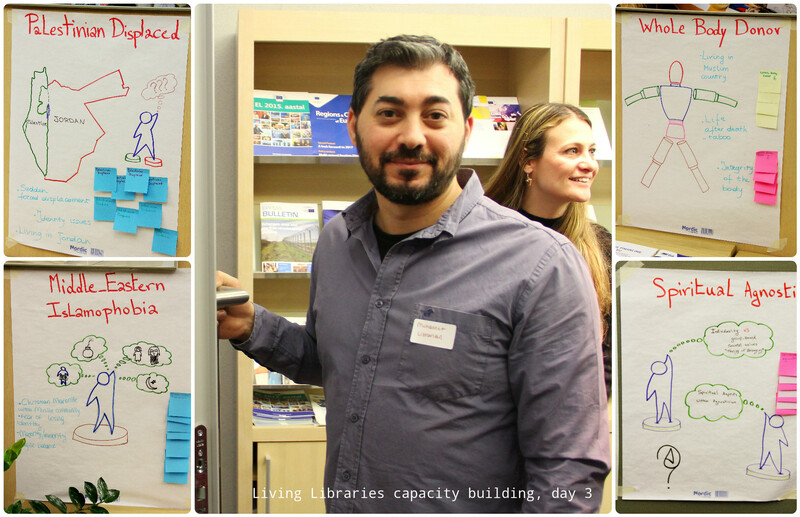 We learnt how to implement the Living Library project at practice. I really could see how reading “human books” can change the way you know and see tings. 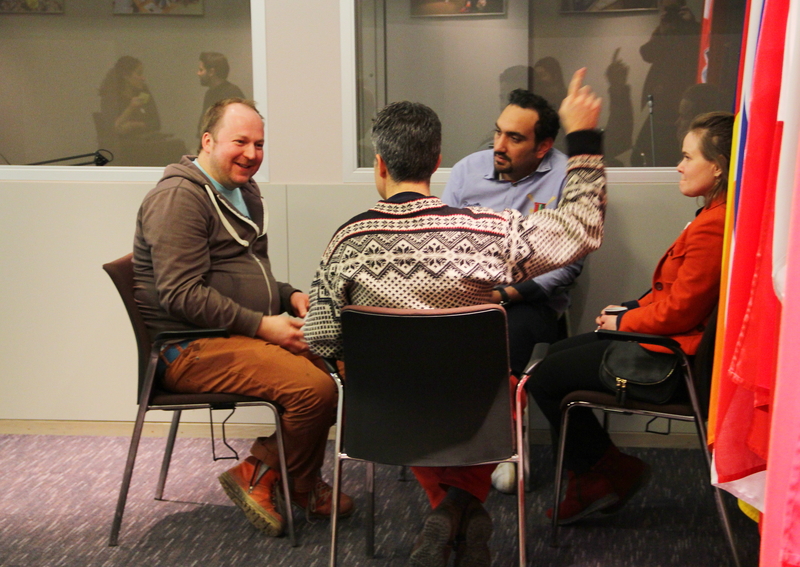 I realized, that through the Living Library event people can experience Intercultural Dialogue more effectively. I understood better the roles and elements of the Living Library. As we had limited time, we had to manage it properly and deal effectively with the materials and recourses for the Living Library. My learning is about how to accept others without judgment. I experienced different opinions and different people. I learnt about preparation and taking responsibility organizing. Adaptation process. Sharing and listening open-mindedly. Truth and tolerance – considering every person as a human first of all.